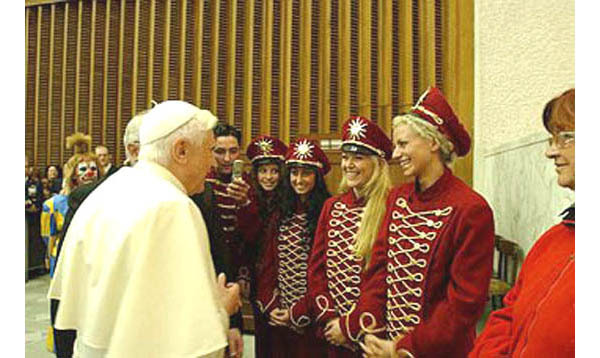 and circus performers at the Vatican. He continues to surround the Papacy with the same lack of seriousness as his predecessor, John Paul II. The solemnity and majesty of the Papal mission was always hated by the enemies of the Church. 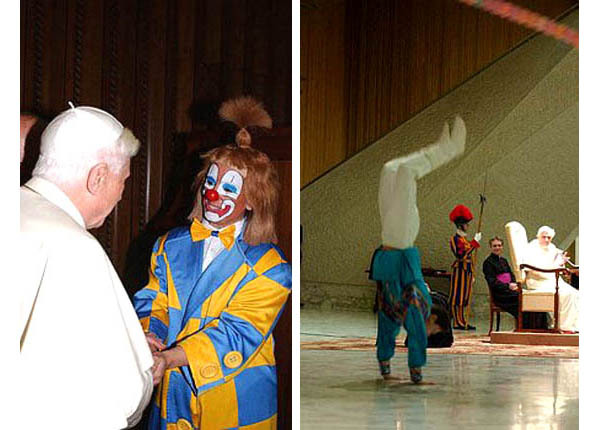 Receiving circus clowns and acrobatic performers at the Vatican, Ratzinger and Wojtyla certainly gratify these enemies, and offend Our Lord Jesus Christ, whose seriousness they should represent.